Cattle are a mainstay for many smallholders but their farms are often on degraded lands, which increases cattle's impact on the environment and lowers their production of milk and meat. Researchers at the International Center for Tropical Agriculture (CIAT) have shown that Brachiaria grass species can reduce greenhouse gas emissions from cattle and increase productivity—and breeding improved varieties can potentially augment the environmental and economic benefits. But the breeding process is difficult, time-consuming and expensive. 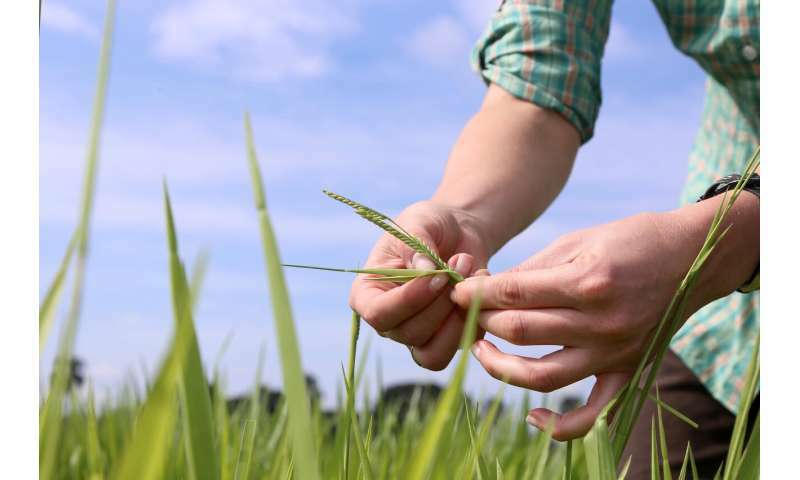 A breakthrough on Brachiaria's complex genome may make breeding much more efficient, and potentially increase the speed with which new grasses begin benefiting cattle farmers and the environment. 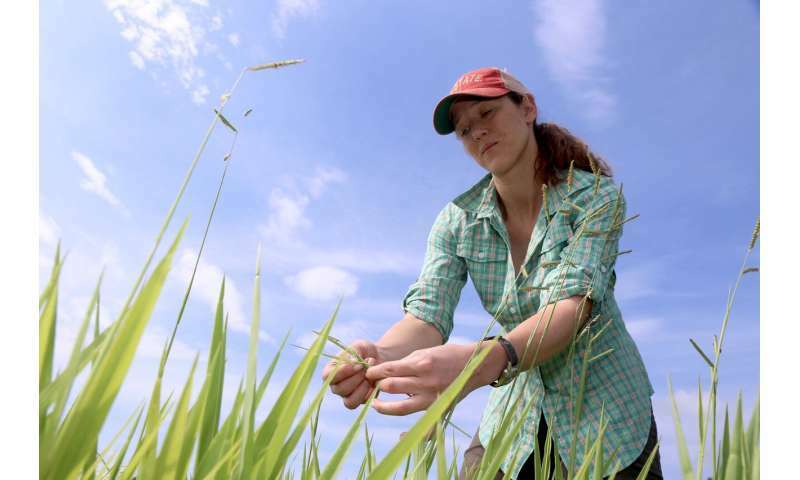 Margaret Worthington, a geneticist at CIAT and the University of Arkansas, and colleagues created the first dense molecular map of B. humidicola, a robust and environmentally friendly forage grass. They also pinpointed the candidate genes for the plant's asexual reproductive mechanism, which is a huge asset for plant breeders. The findings were published in January in BMC Genomics. "The idea is to create a better crop with less time and less money and to get it out faster to farmers," said Worthington. "By using this molecular marker, you increase the odds of finding that rare winner." Traditional plant-breeding methods for Brachiaria grasses involve one of two complex techniques. One is to grow the plant to seed, and to study the seeds under a microscope to determine if the plant reproduced asexually. The other involves excising the plant's embryos and conducting a similar analysis. Both techniques require many weeks, significant funds and highly trained specialists. Brachiaria grasses have often been considered an "orphan crop," due to a lack of investment in research, but their potential for making tropical farms more productive and better for the environment is well known among tropical forage specialists. One recent study found that B. humidicola was especially adept at reducing the nitrous oxide, a strong greenhouse gas, emitted from soil as result of cattle urine deposition. In addition, CIAT researchers have identified mechanisms that this tropical grass uses to efficiently acquire nutrients from soil. "This breakthrough allows for the acceleration of our breeding program for multiple traits, including the development of tropical forages that can help reduce greenhouse gas emissions and make farming more eco-efficient," said Joe Tohme, a senior scientist at CIAT and study co-author. "This discovery represents a milestone in the path toward developing mitigation technologies in the livestock production sector," said Jacobo Arango, a study co-author who is an environmental biologist from CIAT and a Lead Author for the next Assessment Report on Climate Change Mitigation of the Intergovernmental Panel on Climate Change (IPCC).